sign ups for the giveaway of A Dragonfly In Amber end tonight at midnight! So don’t miss out! Sign up now if you haven’t already! Leave a comment and I’ll announce the winner tomorrow!! 1 Response to Don’t forget… and a cow in boots. 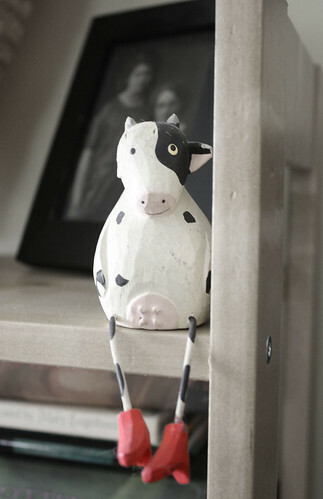 I love your little cow in boots. I used to have one just like her! She created quite a stir when I set her on the wall of my cubicle at the office many years ago. I recall she had lots of friends too…I think I purchased all of them at Cost Plus back then, and gave them away to my friends at work. Soon we all had these funny little creatures sitting on our desks. She made me smile when I saw your photo. Thanks for the good memories!